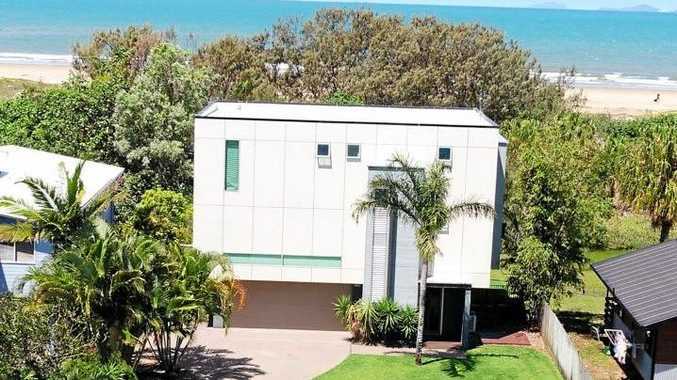 SNAP up an award-winning, architecturally designed home in Yeppoon at auction next month. 101 Todd Avenue is featured as The Morning Bulletin's House of the Week ahead of tomorrow's real estate guide. The home offers the ultimate coastal lifestyle as it on the doorstep of Farnborough Beach and just minutes from Yeppoon's main beach. For sale through Brian Dawson Auctions, real estate agent Lauren Myors said the house had gained a lot of interest through open houses, real estate guide, and online. "It has been quite successful and we've had a few enquiries," she said. Ms Myors said its perfect location was part of its strong selling point. "Todd Avenue is a sought after street in Yeppoon," she said. "And there are no roads to cross, the beach is right on your doorstep." The home is being sold on a "walk in, walk out" basis, with the furnishings including in the sale price. The home has three levels. On the ground floor, there is an in-ground saltwater pool with water feature and coloured lighting. Around the pool is a tiled undercover area for relaxing. Inside the home, there is a fifth bedroom which could also be used as an office. There is also a toilet and laundry. The two-car garage has an electric door and there is a electric gate access for security. The property is also fully-fenced. The garden is also established with well-manicured lawns and some palm trees. Moving up to the second floor lies the living area. With open plan living, the lounge room, dining room and kitchen all flow into one with a long deck alongside overlooking magnificent beach views. The flooring is timber throughout and the area is filled with lighting with louvers and stackable glass doors. It is also fully air-conditioned across the large space. 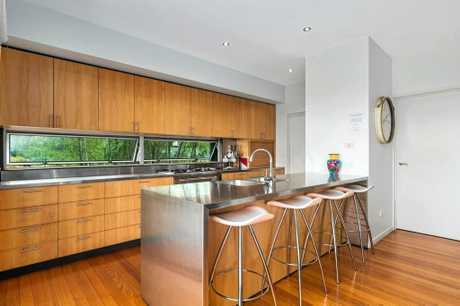 The kitchen features a stainless steel bench top contrasted against timber-grain cupboards. The deck is also more than spacious with plenty of room for hosting dinner parties. Up through timber stairs leads to the third and top floor. Up here, there are the bedrooms. The four bedrooms are comfortably air-conditioned all with built-in robes. Three of these four open onto another large timber deck. The main bedroom has a spacious ensuite. The family bathroom features a spa bath. The home was built in 2007 and the owners have done some renovations in recent years, Mrs Myors said. "They added the extra deck at the top of the house," she said. The property is used as a holiday rental and is often booked out. The current owners had plans to use it on weekends but never got the chance. 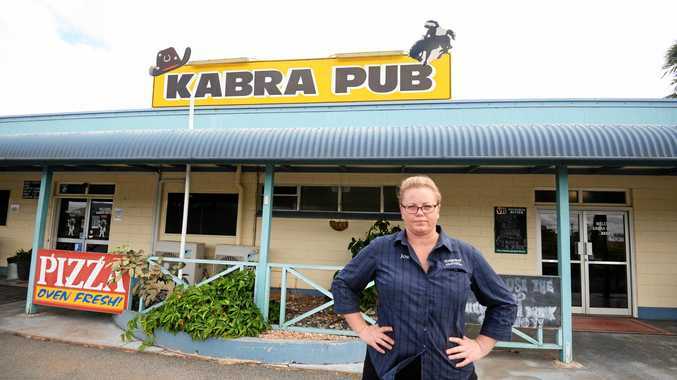 "Other business commitments took over and they haven't been able to enjoy it," she said. The home is open to all buyers, from families to investors to keeping it as a holiday home. "It is unique, it has its own personality... when you walk in there it is just beautiful," Mrs Myors said. The home will go to auction next month and there has already been several enquiries. "With an auction it's whoever turns up and hope for the best," she said.